SnapCacklePop: Daft Punk secure first UK No.1..! Daft Punk secure first UK No.1..! 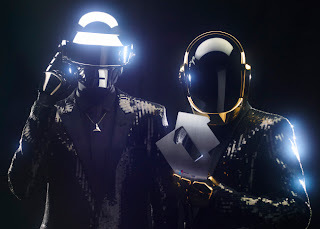 The duo, Guy-Manuel de Homem-Christo and Thomas Bangalter told the OfficialCharts.com they feel ‘Lucky to have a number 1!’ however we are not surprise at SCP HQ with a track that is just sooooo funk-a-lious..! We reckon the album will follow the same style and be one of the most brought album's of the year. Pre-Order your copy of Random Access Memories on iTunes now..!